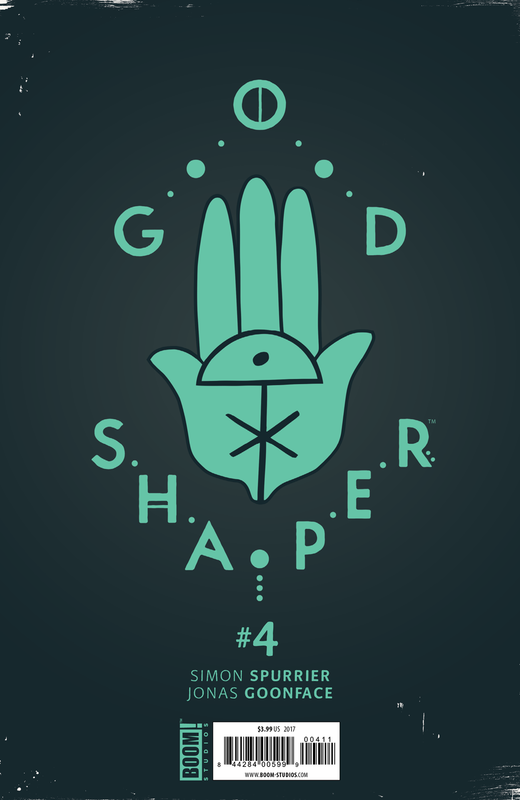 Overview: Logo and identity design for Godshaper, a comic book published by BOOM! 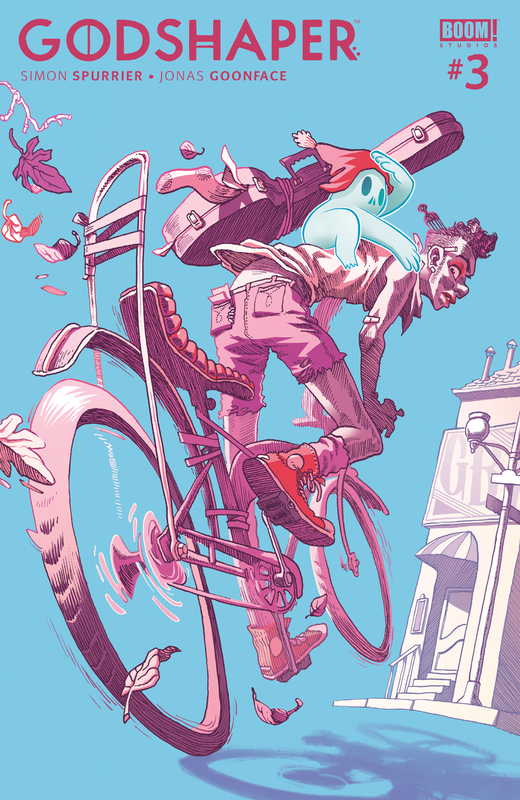 Studios, written by Simon Spurrier and illustrated by Jonas Goonface. Synopsis: In 1958, the laws of physics stopped working: ignition, electricity, and combustion. An alternative was provided, and people found themselves each accompanied by their own personal god, the new fuel and currency of the world. The story follows Ennay, a traveler without a god but with a special ability to mold and shape the gods of others. He goes on the road looking for food, shelter, and a paying gig. Design Brief: A clean logo that hints at the spirituality of the story, and doesn't compete with the bold, vibrant illustrations. Project scale: Six issue series with one collected softcover edition. My goal with this logo was to feel mystical, rugged, but still modern. I knew the covers would be drawn with the top fourth of the cover free of art with a vibrant color background, so a long horizontal shape in the top left hand corner could work well. I looked into hobo/train hopping culture, 1950's and 60's beatnik style, and science fiction titles for inspiration. The look that won out is a modern typeface roughed up with effects in illustrator. Decoratively placed glyphs add an element of mysticism and spirituality. 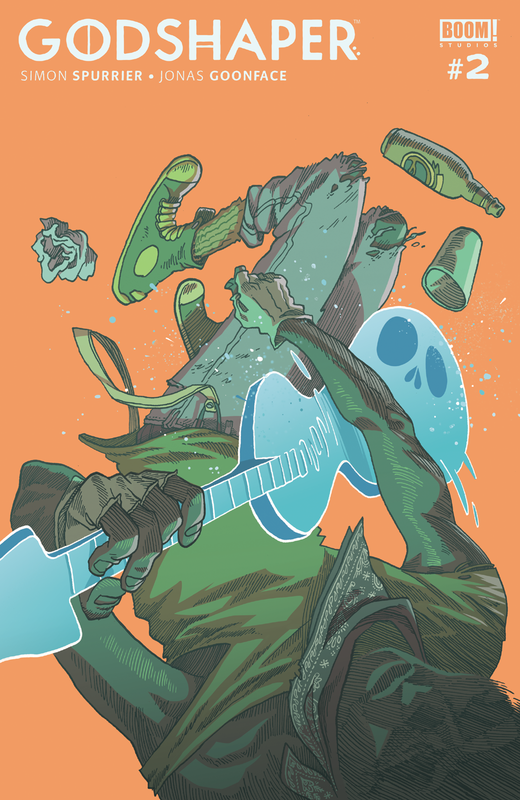 Detail image of the Godshaper logo with the roughness added, before outlining the effect. Inspiration for the decorative glyphs in the Godshaper logo come from Images written by train hoppers, called hobo code, starting in the 1800's and continuing through the 20th century. Multiple versions of the logo with varying glyphs. Alternate style of the logo, used on the back cover and in marketing assets. The hand illustration comes from the card that sits in Ennay's hat. The symbol is another design asset used in the book and collection design.